I have this weird attraction to wearing fancy nightwear as day wear. In general I am very open to mixing things up the clever common way, like wearing sequined skirts with t-shirts, or boyfriend jeans with sharp jackets or pretty blouses, but my favorite rule breaker must be the silk pyjama thing. 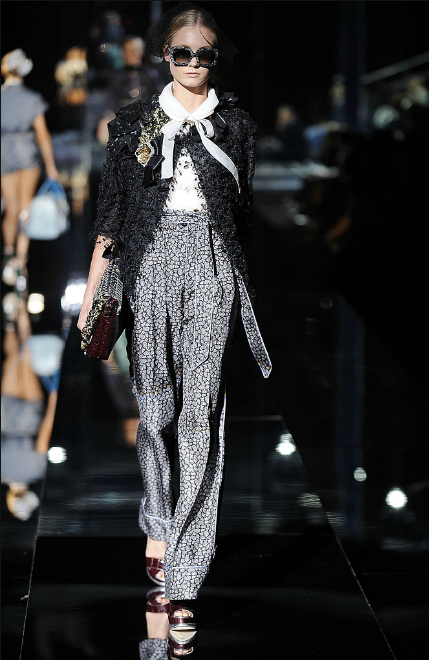 It seems to be coming back again after the S/S 2009 Dolce & Gabbana collection that inspired so many people (from fashion bloggers to editors that is). Since then we have seen many variations from the head to toe look to the one piece of lounge wear at a time approach. 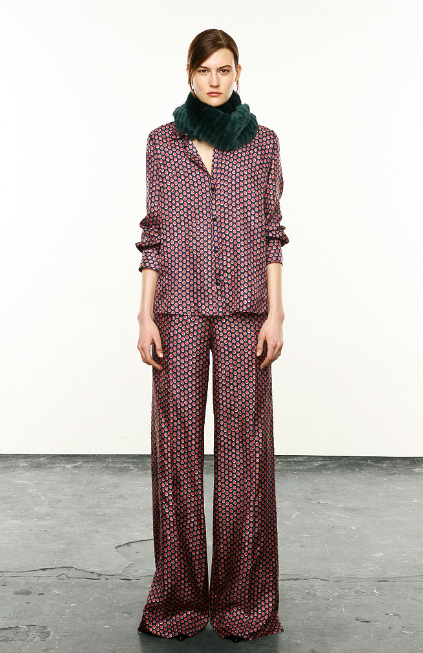 Stella McCartney’s S/S 2012 collection is really fresh in many other ways too, but the pyjama prints, silky trousers and oversized jackets are the ones to watch out for. While I personally find most of these pyjama shots inspiring, I would not go for the full look as I think the slouchy bottom + slouchy top combo is extremely hard to pull of, even for the skinniest models, especially if the whole thing is satin silk and/or printed. 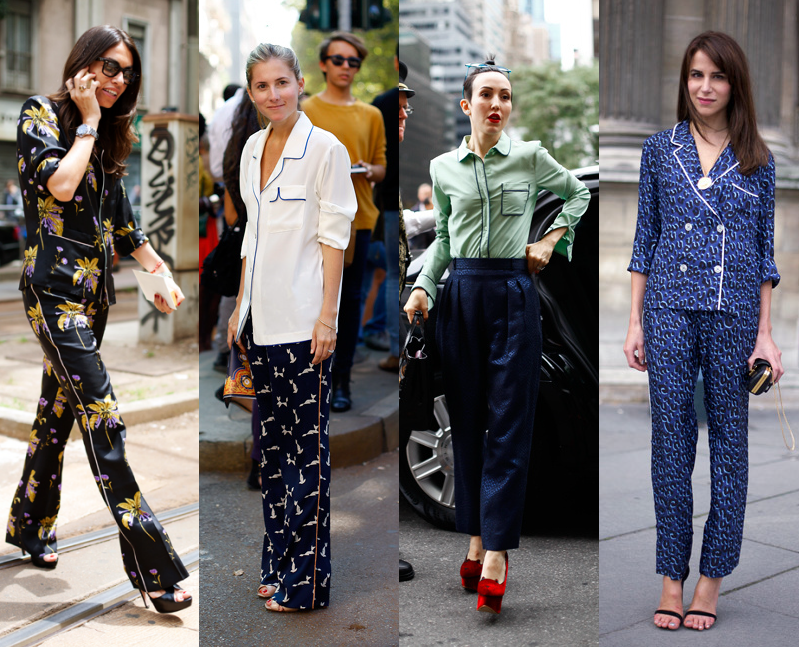 Although Viviana Volpicella…’s pyjama suit is truly flawless (1. photo). I just stumbled upon this blouse recently and while it is well out of my price range, it is now definitely on my “Future Projects” list, as it is basically a chiffon shirt with some contrasting piping on the edges. I guess it would make a versatile addition to my wardrobe (especially to the imaginary one).